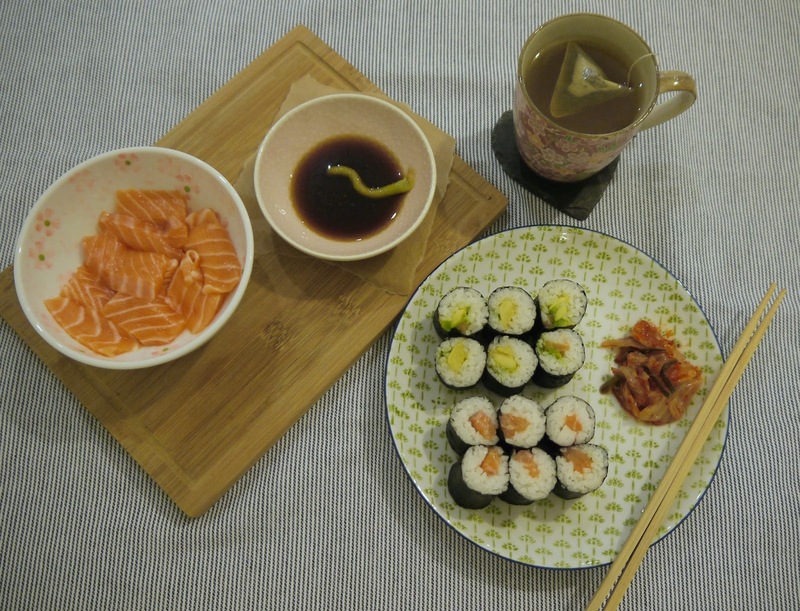 When it comes to food Sushi is my absolute favourite and I just generally love everything Japanese which is rather typical of Asians! At the start of this year we have been cutting back on eating out and trying to cook more at home and introducing the little one to as many variety of home cooked meals as possible. 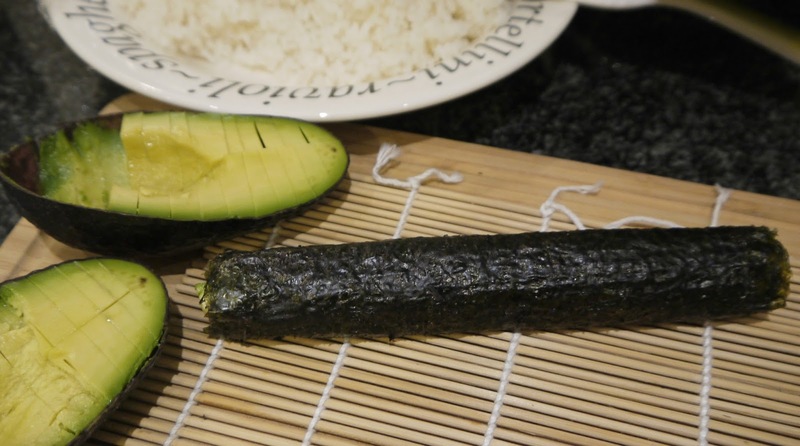 We recently made avocado and cooked salmon flake maki's for her to try and she absolutely loved them. 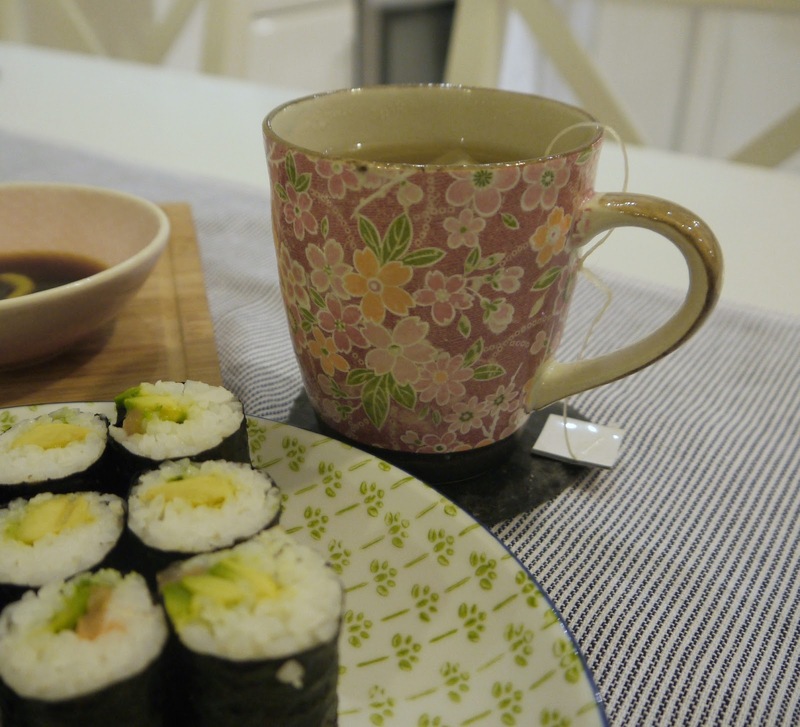 The idea came about while shopping around in HomeSense when I came across these beautiful Japanese bowls (all made in Japan) and ingredients to make sushi so I thought we can make some at home for me and the little one. 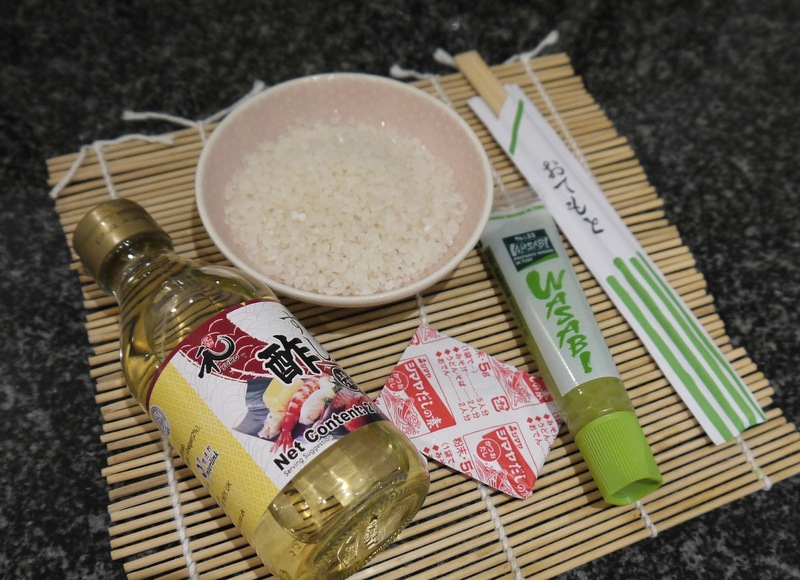 I was very surprised to come across Rice Vinegar in HomeSense but if you have been you will know there is a huge range of food available from olive oil through to pasta, sushi ingredients and even Chinese mushrooms. 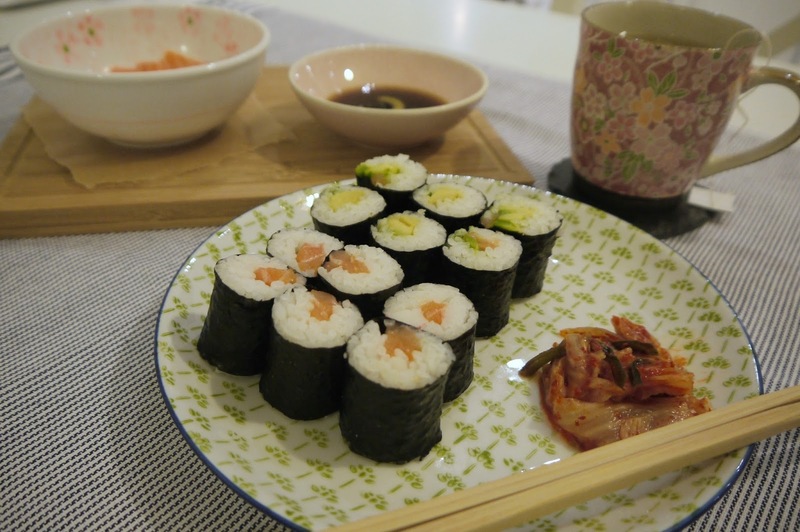 A simple recipe to follow is probably the one from Japan Centre here and majority of the ingredients will be available in places like Sainsbury's / Waitrose / Tesco where there is a small Japanese section. 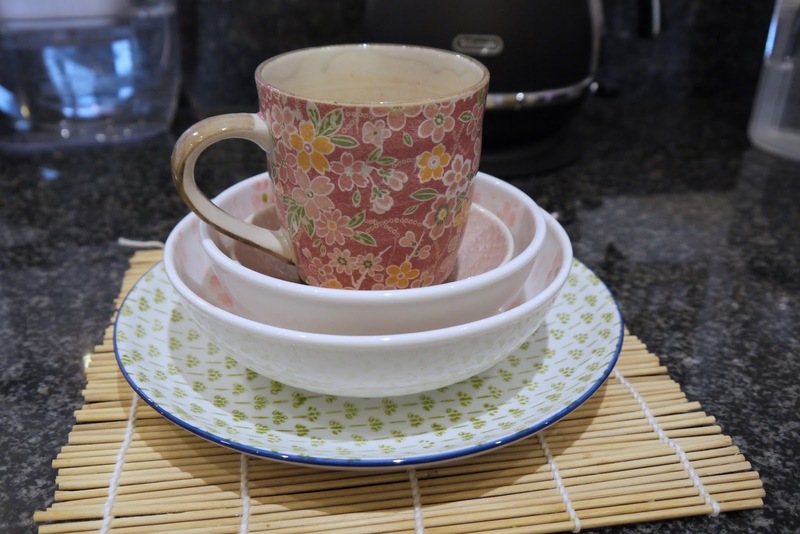 I managed to pick up this beautiful mug (hand made), plate and a few of the bowls in various sizes all from HomeSense along with a few of the table cloths all at fraction of the cloth as usual getting plenty for your money. 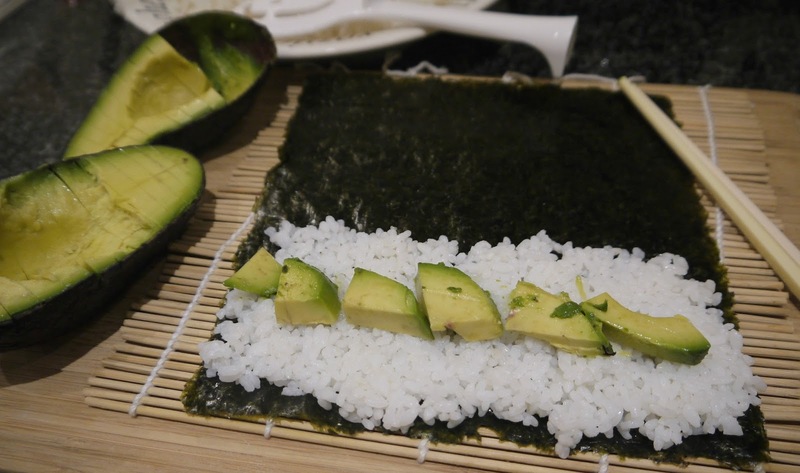 Once you have rolled 2-3 it becomes incredibly easy to make and they are great for when you have friends over and you want to offer a bit of variety. 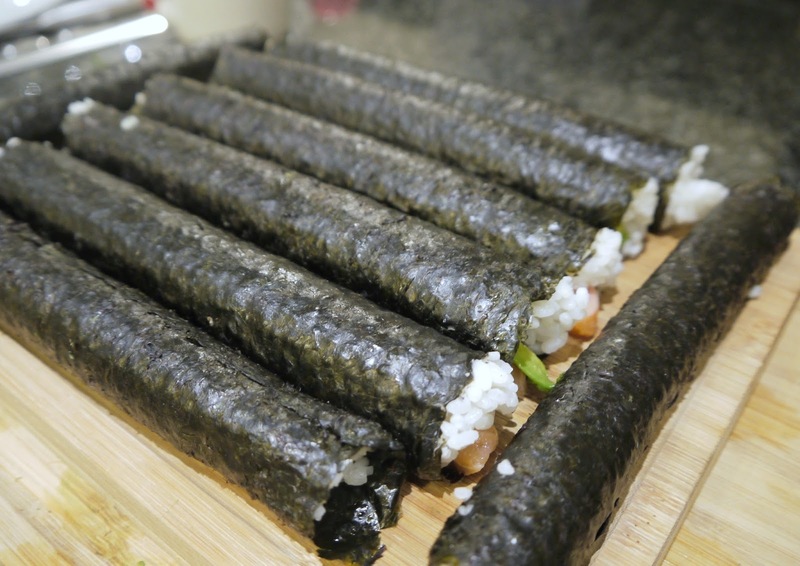 Have you made Sushi before and will you be trying this at home?